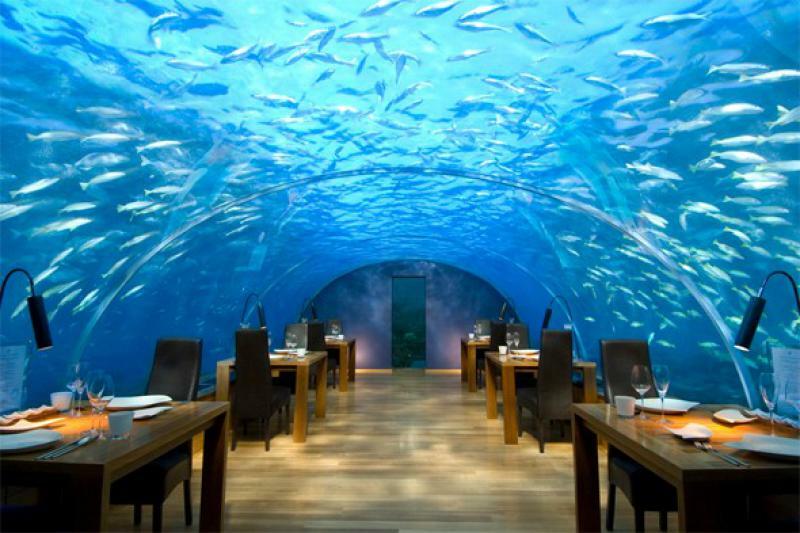 Here you can literally dine with the fishes - 3 years ago by Philip Boyad. 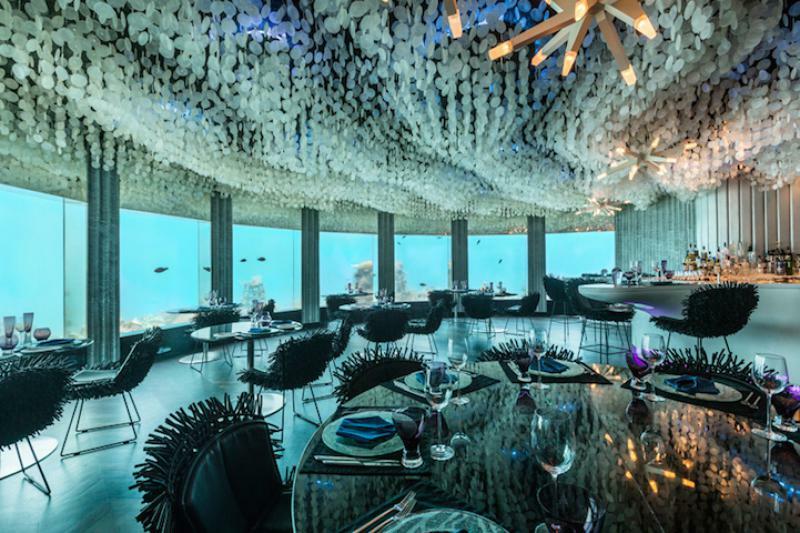 The incredible Subsix restaurant is located in the Per AQUUM Niyama resort in the Maldives. 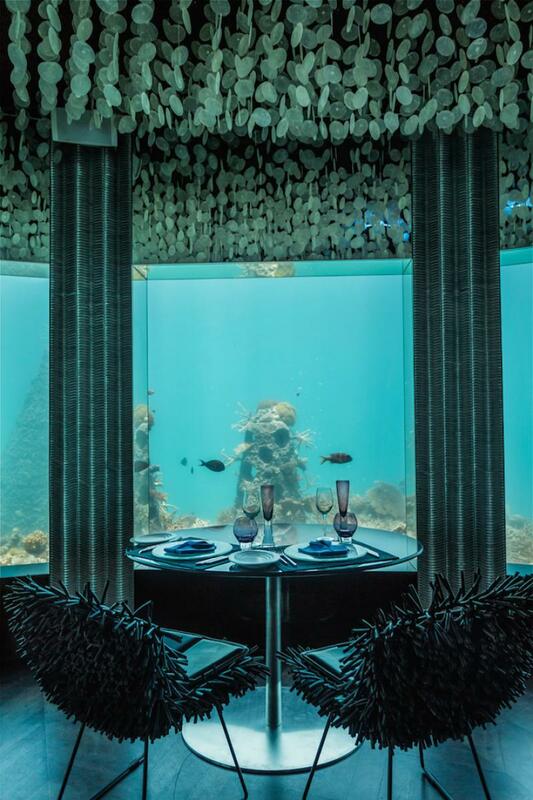 The lucky guests of the restaurant have the once in a lifetime opportunity to dine in the world’s first underwater restaurant. 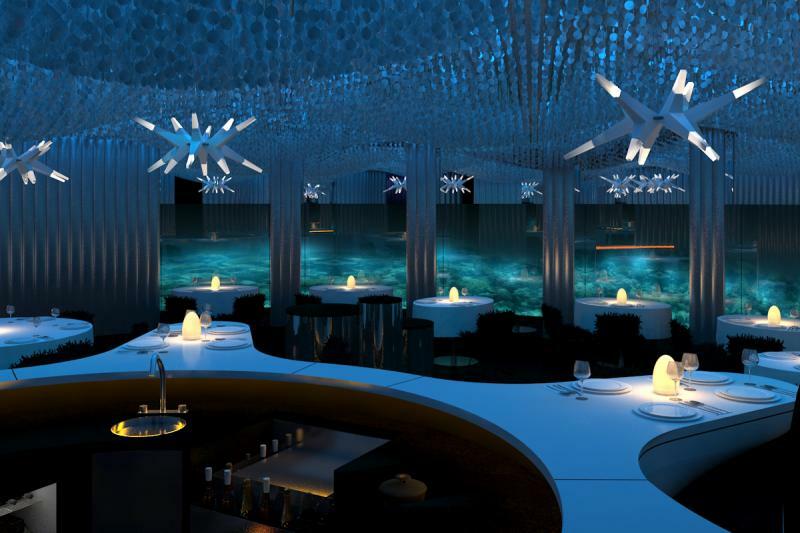 The name of the restaurant comes from the fact that it is built six meters below the water line. Subsix was originally built as a nightclub back in 2012, but recently it has been renovated and turned into an exclusive restaurant by Poole Associates. 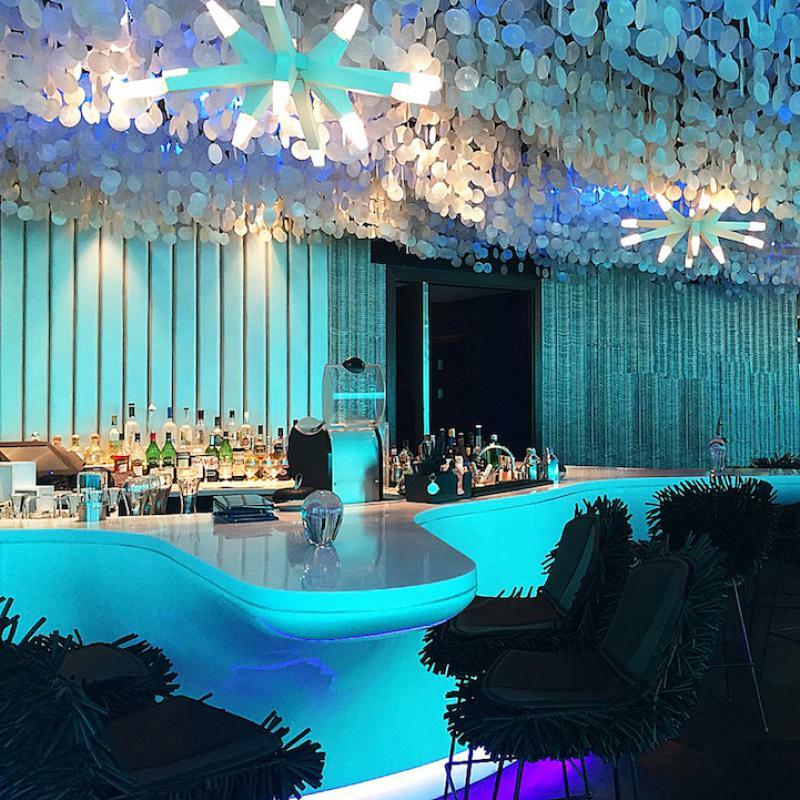 They updated the décor is inspired by its aquatic surroundings and infuses the marine aesthetics. 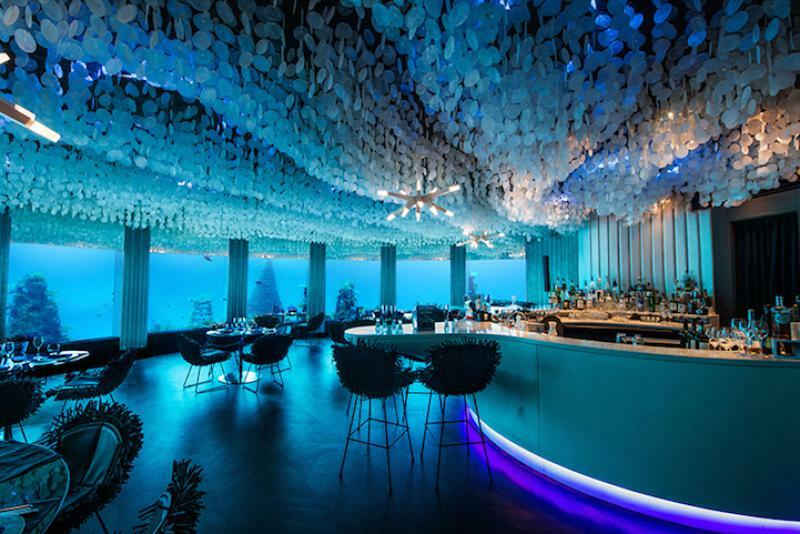 Subsix restaurant is located 500 meters offshore and can be reached via a speedboat. When you arrive there, you are led down a tree row staircase that takes you below the waterline. 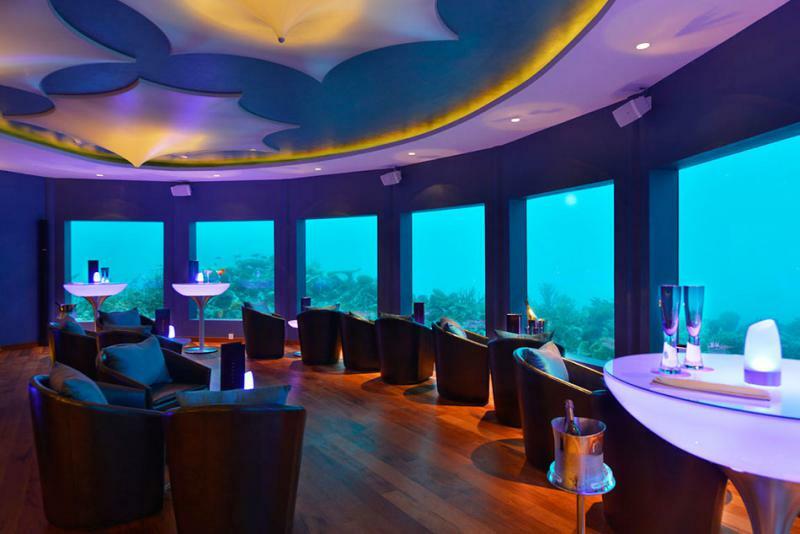 When you arrive into the restaurant, you can enjoy the great marine view trough large window. It’s kind of like inverted “fish in the tank” experience. 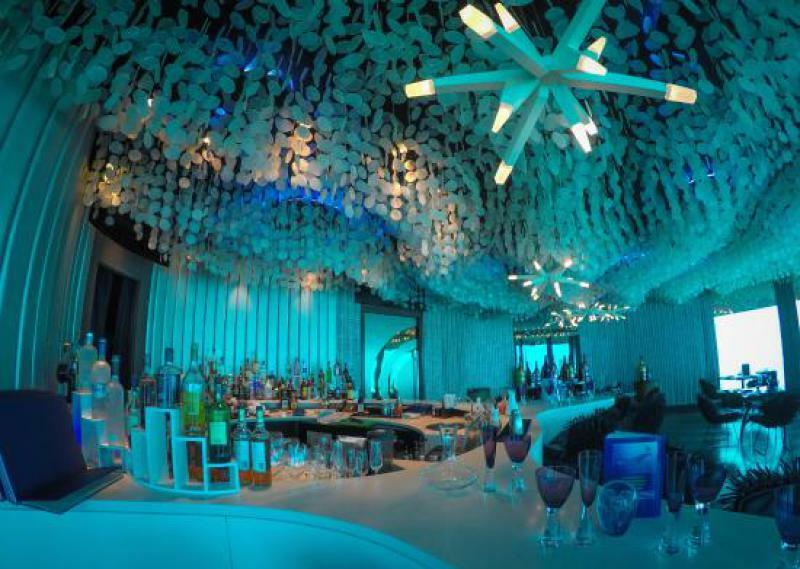 There is a huge clam-inspired bar right in the center of the restaurant. 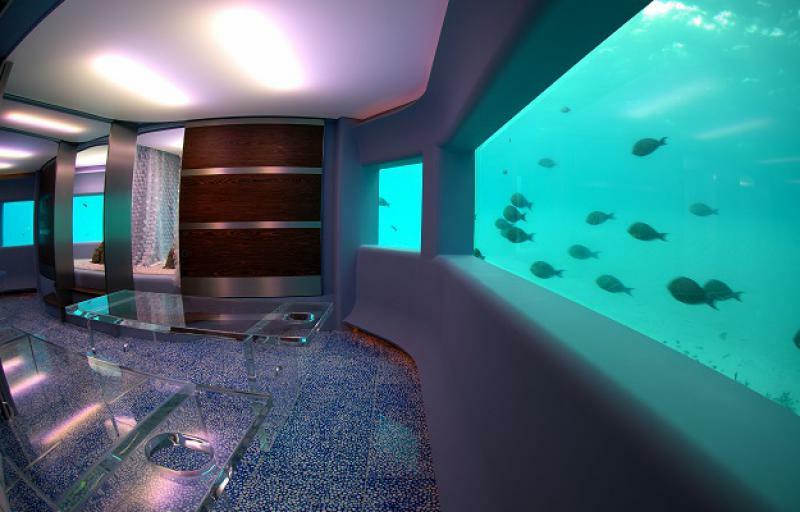 It switches lights to convey the mood of the space. In the morning, lights are pure white, during dinner they become lavender, and blue during the night.